That’s what you do when you enter the peace and quiet of Hakone Japanese Gardens. If you’re there when the cherry blossoms are in full bloom, you’ll want to shout about their beauty. Shhhh. Keep it to yourself and continue quietly enjoying the rest of the gardens. Over eighteen acres, there’s much to see. The four different gardens are Hill and Pond with its three-level waterfall and plump koi; Bamboo Garden and its collection of rare bamboo; Tea Garden where you can enjoy the extra quiet tea ceremony; and Dry Garden, the center of harmony and tranquility. 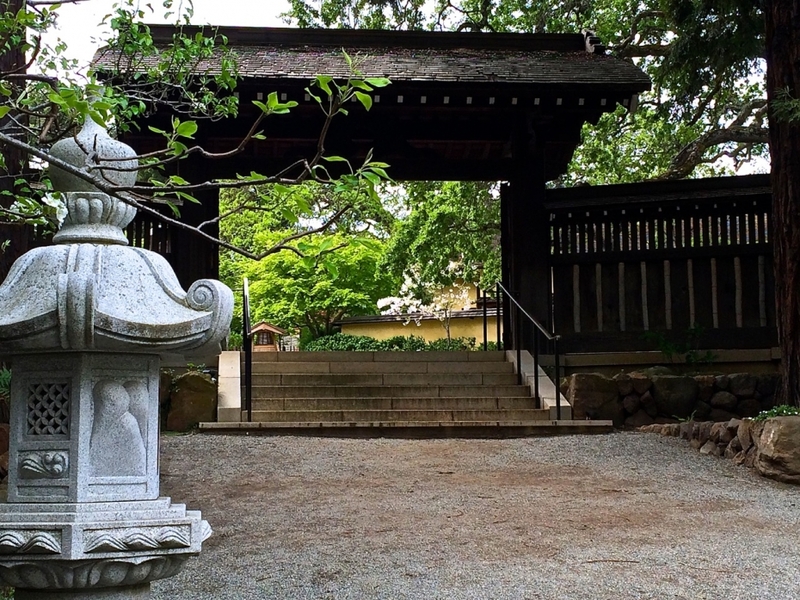 Built in 1917, Hakone Gardens is an authentic oasis of Japanese architecture and landscape design, and it’s authentically non-digital in the shadow of Silicone Valley.